Saudi Arabian students in London, Ont. have been granted a three-week extension of their government-ordered date to leave Canada, while medical trainees have been allowed an open-ended deadline. Saudi Arabian medical students in London, Ont. have been granted an open-ended deadline of their government-ordered date to leave Canada, while all other students have been allowed a three-week extension. Earlier this month, the Kingdom ordered all Saudi students on government-funded scholarships to Canadian schools to return home by Aug. 31. The order followed a diplomatic disagreement with the Canadian government. Saudi medical trainees at Western University learned this week they have been allowed permission to remain in their programs until they have obtained admission to an equivalent program in another country. A letter from the Saudi Arabia Cultural Bureau to the Deans of Medicine at Western outlined the new instructions for medical trainees. 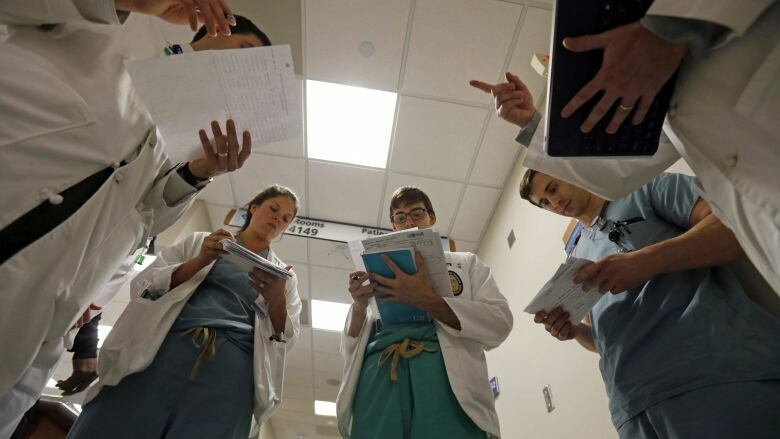 "All trainees in residency and fellowship programs may, at their option, remain in their programs at Canadian Medical Schools until such time as they have obtained final admission into equivalent training programs in other countries," the letter read. Also, any trainees who are on leave are being allowed to return to their programs and resume training in Canada. Among the 152 Saudi students studying in London who are being forced to leave, there are 91 medical residents and fellows. Those students are providing direct patient care in all of the LHSC's clinical programs. "For some of them, they are so close to finishing their medical training here, that they probably won't find a placement elsewhere, that they'll just continue with their placement here," said Julie McMullin, Vice-Provost and Associate Vice-President of International Education at Western. Since the order for students to leave Canada came down from the Kingdom, Western has been working with Saudi students to help them with their transition plans. "What has been a challenge for us, but a challenge that we have managed, is that each individual case is different because they are all at different levels of their program, so we have to do an action plan based on each individual student," said McMullin. The deadline for non-medical students to leave Canada is now Sept. 22. McMullin says the Saudi students are concerned about their future. "They're concerned about where they are going to be going to school, they're concerned about academic credit transfer," she said. While many students have already left Canada because of the original deadline, students still in London are applying to transfer to programs at universities in the United States, the UK, and Australia. "We at Western have valued the contribution that our Saudi students and medical trainees make to our community, so we're finding it very sad," said McMullin.